The county chief has written to the Chancellor begging for more money to maintain Nottinghamshire’s underfunded social care services. Leader of Nottinghamshire County Council Councillor Alan Rhodes has made a second, direct appeal to the Chancellor of the Exchequer Philip Hammond to urgently address the funding crisis facing social care services for the county’s most vulnerable people. Social care services, such as those provided to children in care, older people with complex conditions and adults with disabilities, are being hit by a combination of extra demand, rising costs and severe, on-going cuts to funding for councils by the Government. 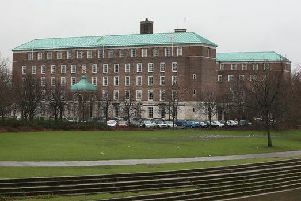 Nottinghamshire County Council has seen its Government funding reduced by over £200m since 2010. As adult social care services account for over 40 per cent of the council’s overall expenditure, this has translated into cuts of around £70m to what the authority has to spend on looking after the elderly and people with disabilities. Councillor Alan Rhodes first wrote to Philip Hammond in December to request that the Government provided emergency finance to avert the immediate crisis, as well as a national strategy and commitment to meet the funding gap in future years. However, the Government’s response was to insist councils must raise the money they urgently needed by increasing council tax and implementing a social care levy - passing on responsibility to local taxpayers. Now Councillor Rhodes is writing to the Chancellor again, highlighting how Government funding cuts continue to threaten vital social care and public health services which, in turn, will only pile greater pressure and unnecessary costs on the NHS. In the letter, Councillor Rhodes said: “The time has come for the Government to act, social care across our country and county is in crisis. He is calling on the chancellor to make available the £2.3bn needed to plug the social care funding gap nationally.